Keeping your pool properly heated can increase its value and lengthen your swimming season. If you&apos;re searching for superior comfort and control, you can find it in Hayward&apos;s collection of top-notch, highly efficient pool heaters for in-ground pools. Ask Poolscapes about installing a world-class in-ground pool heater for the ultimate in luxury on your in-ground swimming pool or spa. H-Series MilliVolt heaters feature a rust-resistant water path with polymer header assembly, and a rapid-heat combustion chamber. They are easy to install and maintain, thanks to it&apos;s low profile, lightweight and CPVC plumbing capabilities. Hayward&apos;s electric spa heaters include all the sophisticated capabilities and features of units twice the size. These electric heaters can fit into tiny spaces-even under spa steps or skirts. 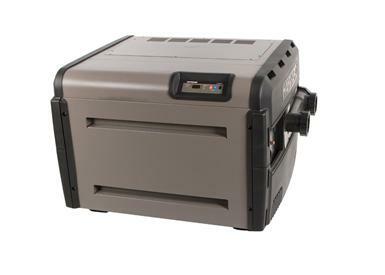 Hayward&apos;s heaters are simple to set up and service. Terms | Privacy Copyright© 2002 - OmahaPoolscapes.com All Rights Reserved.